Do you want to decelerate the aging process? Aging can mean hardening of your arteries, high blood pressure, loss of memory, muscle and bone, as well as frailty and ailments. What if you have something that could delay and possibly reverse those? You do, it’s anti aging exercise. Beat bone, balance and muscle mass loss that can lead to frailty, weakness, falls and fractures. Anti aging exercise such as weight training and weight bearing exercise that requires balance and coordination can not only prevent these but it can also reverse these processes. For muscle maintenance and tone lift 65% of your 1 rep max. To build muscle lift 85% of your 1 rep max. Pick a weight that you can safely lift for 10 repetitions and determine your 1 rep max by using this calculator. Start slow and build up slowly to avoid pain, strain and injury. A trainer can work with you to assure you are using good technique and make anti aging exercise safe and effective. For balance try sports such as tennis, racquetball, and dance or do exercises using a balance or bosu ball. For bone strength do weight bearing anti aging exercise such as weight lifting, walking, jogging, calisthenics, cycling and other types where you use your body or other weight to strengthen bones and muscle. Swimming is an excellent exercise, however it will not build bone because there is no weight bearing associated with it. Stop stress, anxiety, depression, dementia and fatigue with anti aging exercise. Oxygen and increased blood flow can lift your mood and spirits. Aerobic exercise increases blood flow, and provides essential nutrients to your brain, muscles, organs and tissues. It also improves heart health and lung function by increasing the amount of oxygen and blood flow that nourishes your mind and body and exercising the muscles through expansion and contraction. Increased blood flow also removes toxic waste that may cause or aggravate the symptoms. Anti aging exercise can relieve fatigue, aches, pains, mental fog, anxiety, stress, depression and more. Aerobic exercise can be a little as 20 minutes a day to have an effect. Exercising in small 5-10 minute increments throughout the day can also be beneficial. Try walking, jogging, swimming, cycling, dancing or other activities to get your heart rate up. Stretching is an anti aging exercise because if held for 15 seconds or longer, it can increase blood flow, relieve muscle tension, and pain, as well as calm the mind and body and relieve all of the symptoms of the conditions stated above. This is an anti aging exercise that can make you look and feel younger by relieving stress and tension. Live longer, younger and healthier. Studies showed that an average of 30 minutes of moderate anti aging exercise, 5 times or more a week, gave participants a 27% lower risk of dying during the study period. More vigorous exercise (20 minutes, 3 or more times a week), dropped the risk of death by 32%. Anti aging exercise has been shown to improve lung function, reduce the risk of heart disease, stroke, diabetes, high blood pressure, high cholesterol and improves the quality of life. Low fitness level is the biggest predictor of death above smoking and high cholesterol. If you are obese and don’t do anti aging exercise, your risk of death and illness is much higher. High intensity interval training is the most efficient and effective anti aging exercise. Just 15-20 minutes a day of high intensity interval training can combat degenerative illness and keep you looking and feeling younger and healthier. Follow the American College of Sports Medicine guidelines to get the most out of your workout and avoid injury. Anti aging exercise is essential to add to your lifestyle along with good nutrition, preventive strategies, sleep, avoiding toxic exposures and keeping your hormones balanced. Get a fitness and functional medicine evaluation to avoid post workout pain, and injury. I can tailor exercise to your unique metabolic needs, risk factors and determine how you compare to others your age. This enables you to focus on what is most important. 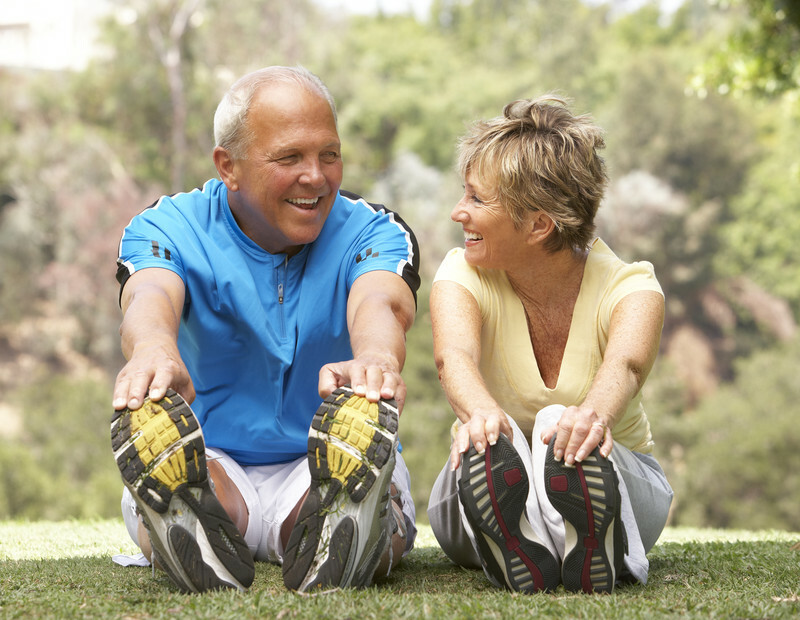 Anti aging exercise can modulate your hormones. Choosing the right type, frequency, intensity and time can add years to your life. Anti aging exercise is the best prescription for optimal health.